Not your average sweatshirt, this men's heavyweight hoodie helps defend against the hazards of the job. It's made from flame-resistant fleece that keeps you dry through light rain. The original fit layers easily over your other gear. Excellent purchase for the ;price. Had it for a couple of weeks. Works as expected. The only small drawback are all the fuzzies that are on my brown FR shirt after wearing it. Washed and it reduced it a little, but still there. Not as much on some other shirts. 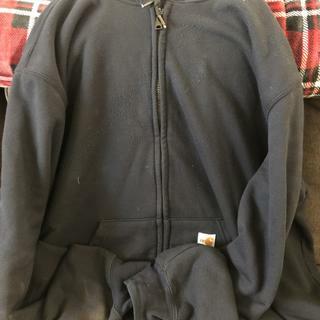 I love this jacket and I knew I was buying large due to the pullover's design to fit over multiple layers, however, the sleeves are about 1.5" - 2" longer than my other Carhartt pullovers (e.g. Rutland, which I also love). I double checked and I did buy M and not M Tall, plus the price I paid was correct for normal M size. Could anyone advise as to whether the fit should be a bit long? Thanks! Thank you for your feedback. If you are going up a size to the medium from a small the sleeve length and length of the garment will be longer. For additional sizing questions please contact our Customer Service Department at 1-800-833-3118. Best Hoodie for hard working man! My husband works construction. He is working in Wyoming and the weather changes drastically without warning. So I ordered this and had it shipped to him. Priceless!!! Keeps him warm and dry and can ordered 1 size big so he can dress in layers as needed. You won't find a better hoodie, I know I tried others and other brands 1st, they were all waste of money this is exactly what you need!! BEST Hoodie for a hard working man! Great sweater but if your a driver you will start to see where your seat belt rubs across your chest after just a couple of week. I didn’t even wear it each day of those two weeks. Same thing if you wear gloves that go over the sweater. Both situations cause the sweater to lint up wherever there is constant rubbing. But, it does do the job in keep me warm. 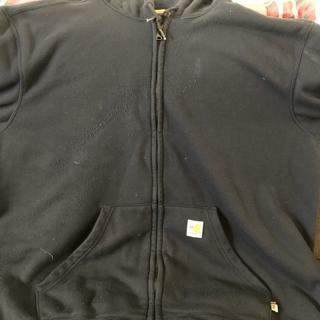 I wear it in combination with CARHARTT BASE FORCE EXTREMES® SUPER-COLD and my work shirt and do just fine in weather that’s warmer than 10 degrees. Like I said great sweater but disappointed with the lint issue. Hopefully it’s just me having this issue. We appreciate your input and are sorry to hear this. We will pass your feedback along. Please feel free to call Customer Service at 1 800 833 3118 with any questions. My husband has long arms so while he would normally wear an XL normal we had to reorder in a tall because of the arm length. Otherwise, it is a wonderful product and have always had good luck with the Carhart brand. This is a great zip up FR hoodie, perfect for layering up during those cool mornings. I prefer the zip up hoodie to the pull over as you don't need to remove your hard hat to shed layers. 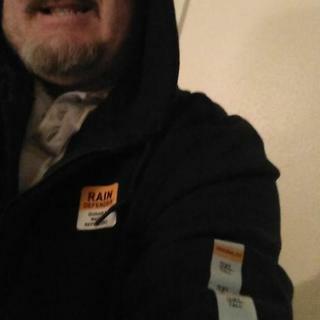 I have not had a chance to test out the rain defender quality of this hoodie yet. I like the multiple different pockets. The small pocket on the right side is perfect for securely holding a smart phone. Why is the fit so long? I wear a M and this hoodie goes very long in the waist and arms. Thanks for any answers! BEST ANSWER: This style is designed to have a sleeve length of 36 5/8 inches in size Medium (measured from the center back to the end of the sleeve.) The center back length is 29 1/2 inches in size Medium. They are designed to ensure appropriate coverage in the back and when stretching out arms. 102908 hoodie will the material shrink in the dryer? I air dried mine the first time and then dried on medium heat every time since and it has not shrunk. Not terribly. As most FR clothing runs looser, I cannot say it has shrunk enough to notice. Yes it does. It’s best to hang & air dry. I got this as a gift its too large will it shrink in the dryer? Mine is also too large. I may be a newbie and not too bright when it comes to online reviews but I tried everything and cannot post a new question. Could someone explain if it's normal for this pullover to be about 2" too long in the waist (it hangs way down) and also 2" long in the sleeves as well as how to ask this as an independent question? Thank you!! Hi Scott, they are designed to ensure appropriate coverage in the back and when stretching out your arms. If you are concerned that it is too long due to a quality issue, please contact us at 1-800-833-3118. The guys that work for me wear them. They use them as a jacket, so they don't wash them all that often. I don't see much shrinkage, so if its really too large then I recommend exchanging it for a smaller size. not much shrinkage. I have washed this item 2x. The hood is larger than normal. Not sure, but I believe it is designed so that it can be worn over a hard hat. I bought this for my son and it’s been washed a few times. I have seen NO shrinkage whatsoever. It retains its size. No. It retains its shape. No shrinkage. I hope this is a really heavy hoodie cuz I’m thinking about buying navy blue to match my navy blue fr cargo pants!? BEST ANSWER: Yes, this style will be a 13 oz fleece.